Star Noodle in Lahaina was the star of the day. Gail and I agree that it will be tough to top this. 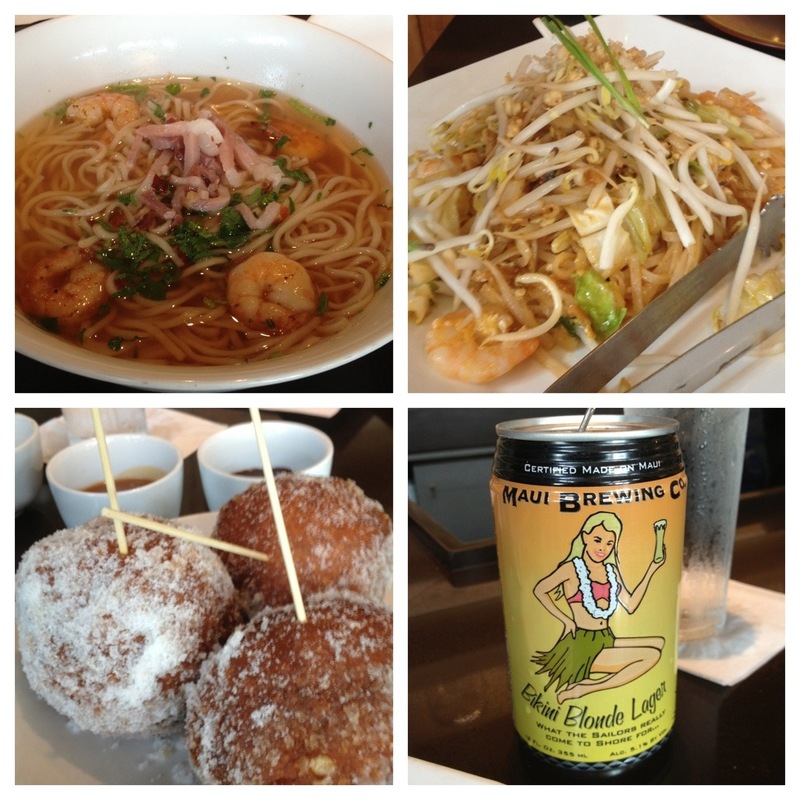 Clockwise, we went with the Hot ‘n Sour, Pad Thai, Bikini Blonde, and Malasadas. Great experience. Star Noodle is an immensely popular place for both locals and tourists. We went at 2:30 in the afternoon and it was a twenty minute wait. We lucked in to the end seat at the bar near the entrance, we love being able to look into the kitchen and watch the expeditor move the food out, even if they did mess up our order. It’s a small place tucked back in an industrial park, about a mile or so up the hill from the Lahaina waterfront. The Hot ‘n Sour with shrimp and prosciutto was an explosion of flavors. Gail, who doesn’t like spicy, agreed with me. She ended up grabbing a fair amount. I, in turn, ended up eating a lot of her Pad Thai, which killed some of the heat with it’s more creamy texture. I washed it down with the blonde microbrew and settled in for the highly, highly, highly anticipated dessert. At this point they had completely forgotten about our Brussels sprouts order, so we cancelled that and put in the Malasadas order. After about 30 minutes, we had to remind them about it. Our server was on lime juice duty and I think he spent the better part of an hour squeezing limes at the opposite en of the bar. That’s cool, he was a really good guy. The Malasadas were worth the wait. If you’ve never availed yourself of the Portuguese doughnut balls, I suggest you seek them out. They’re rolled in sugar and ours were served with dark chocolate and butterscotch dipping sauces and crushed peanuts. Gail and I walked out ecstatic despite being neglected for the better part of a couple hours. I’d go back in a second. We hit the whaling museum in Ka’anapali after that. 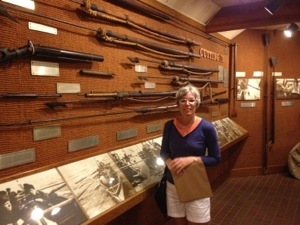 Here’s a picture of Gail next to the harpoon exhibit. It brought back memories of how we met. 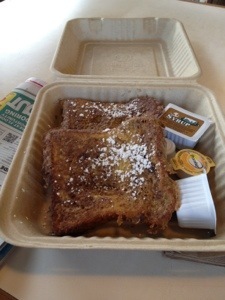 Oh yeah, for breakie we walked to the Honolao Store and had some Sweet Bread French Toast. I can’t really blow holes in this day. Posted in food, tagged vacation-Maui on 2013/04/06 by John.